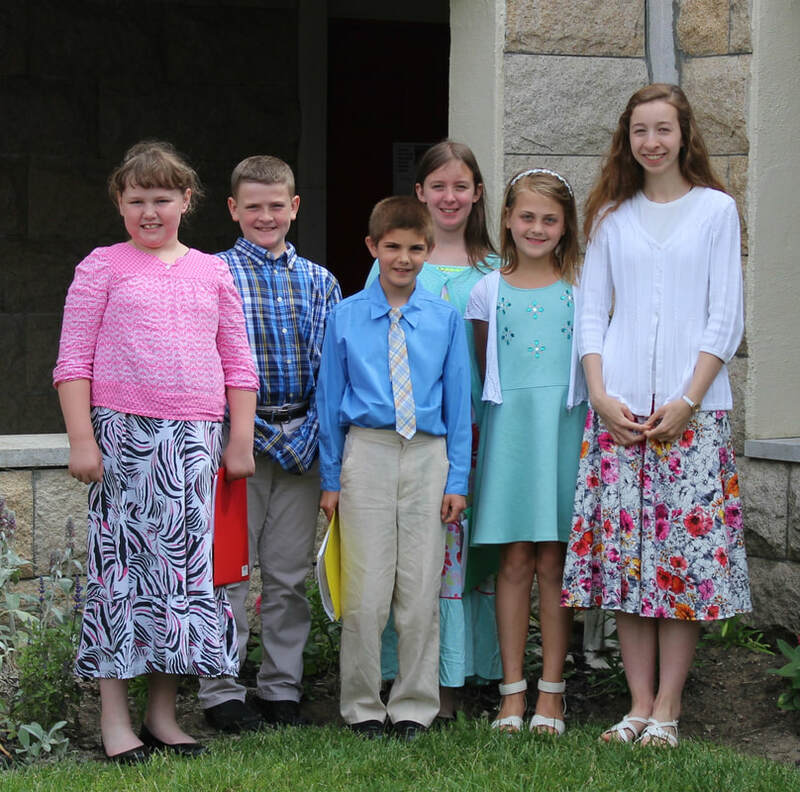 Students and teachers smile for the last day of our ​Sunday Catechism program. ​May procession to Our Lady's shrine. 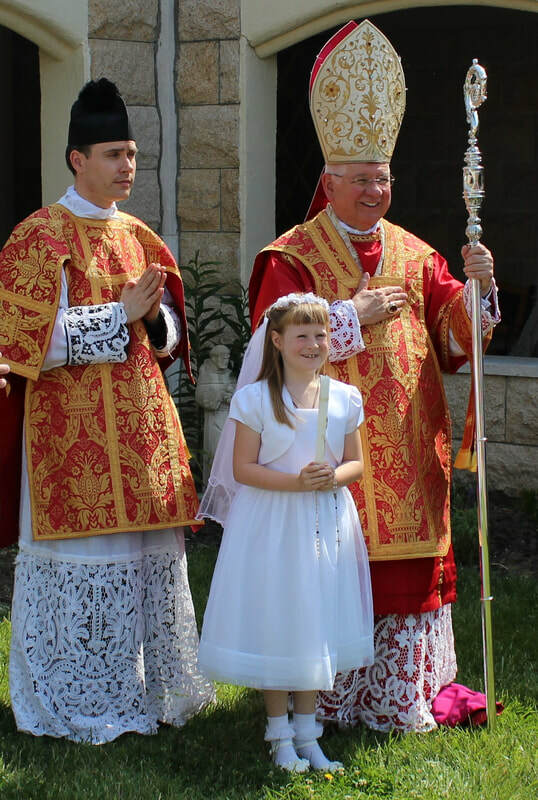 A number of our catechism students receive the sacraments of Confirmation and first Holy Communion. 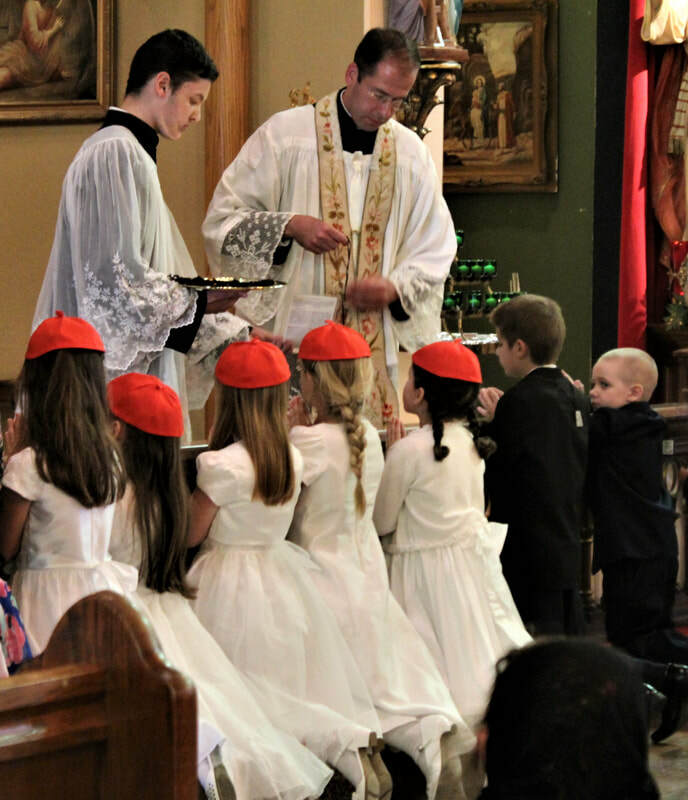 Brown Scapulars are given to the new soldiers of Christ. 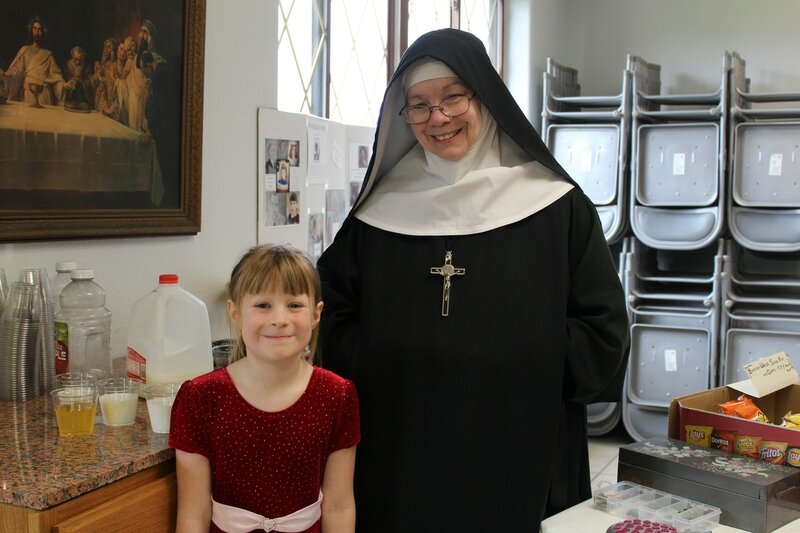 Mother Isidore Maria and one of her students enjoy the great event. There's nothing like enjoying a hot breakfast with the family! Our apprentice cashiers visit in-between craft-sale buyers. beautiful ​hand-painted advertisement; Spring is in the air! Surprise visitors from the missions always brighten the occasion. The Young folk observe the auction frenzy from a distance. 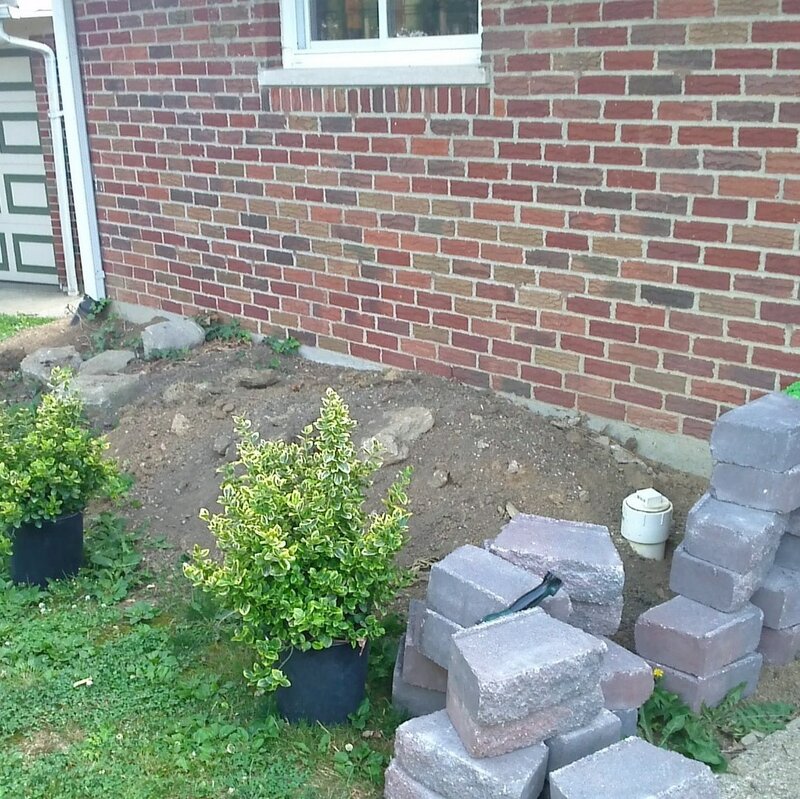 "Did someone just say sold?" Last minute bidding takes place as the auction draws to a close and the much-anticipated raffle approaches. 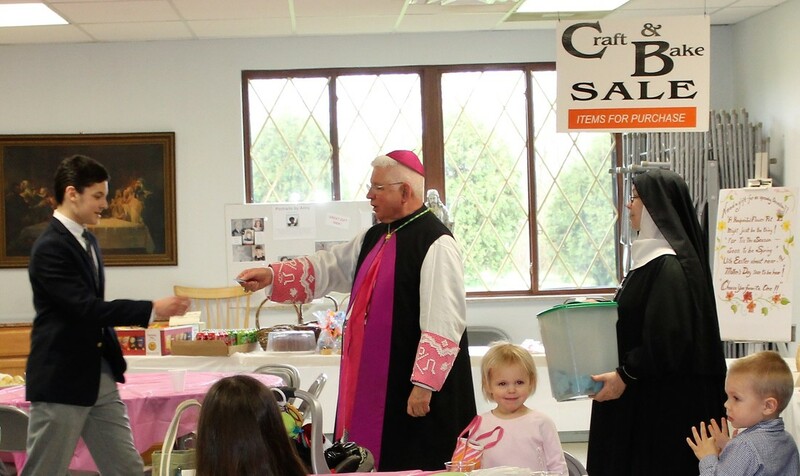 The Bishop draws the winning ticket to our split-the-pot raffle; Congratulations young man! 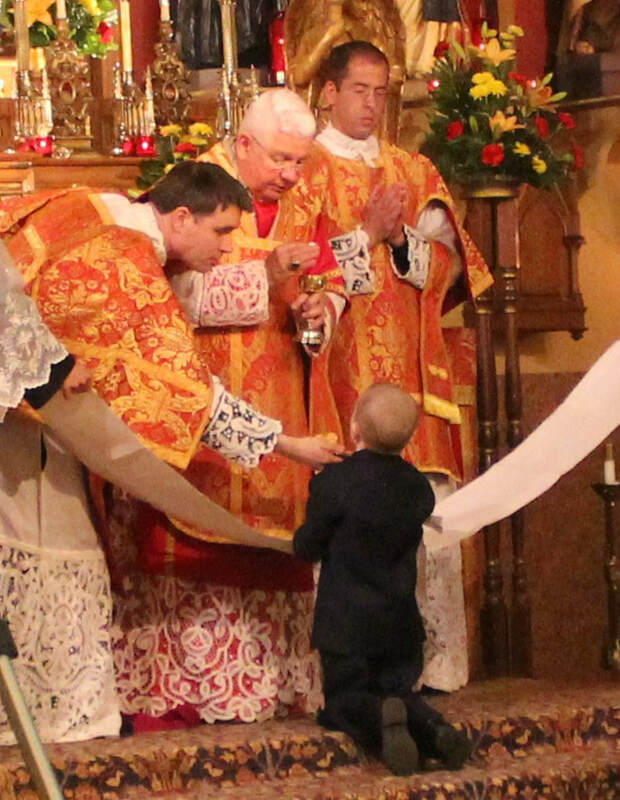 Even the children join in the fun as the Bishop returns the winning ticket to its lucky owner. ​$658.oo was split between the winner and the Sisters. We hope you enjoyed the pictures from Sister Sunday! Hopefully you can join us again next year? Our Lady's shrine was decorated for the feast of The Incarnation which took place during the month of St. Joseph. 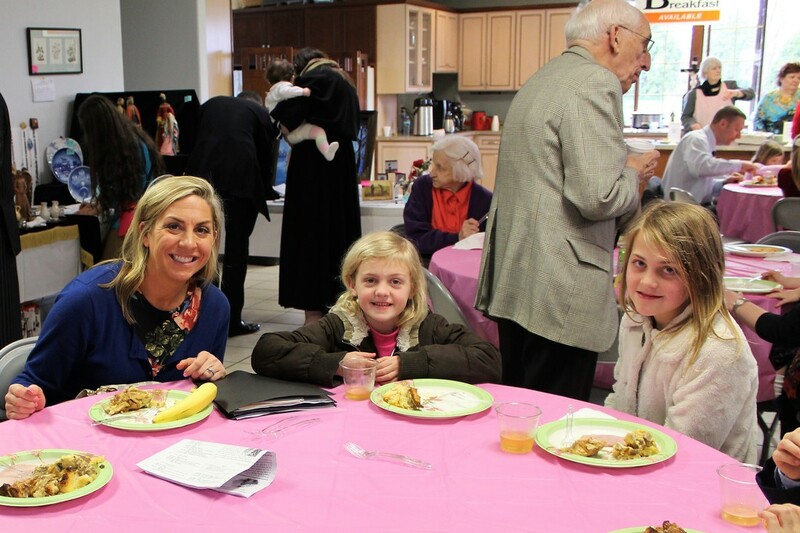 A music recital was put on by the parish school children for the residents of a near-by home for seniors. 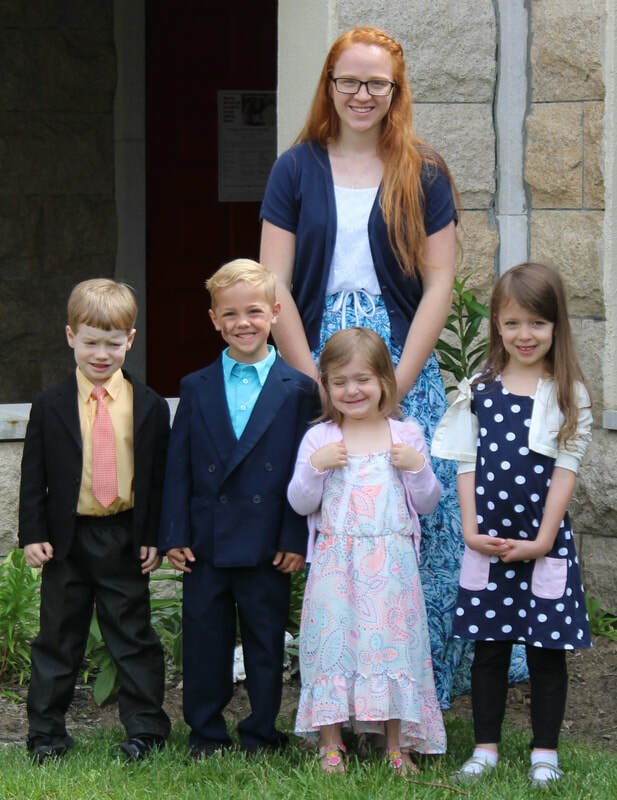 A few homeschoolers and adults joined in the fun, entertaining everyone with piano, harp, violin, guitar, banjo, mandolin, and a even a small choir. ​were treated to fresh-baked cookies afterwards. The Postulants prepare their bridal gowns for their upcoming Investiture Ceremony. 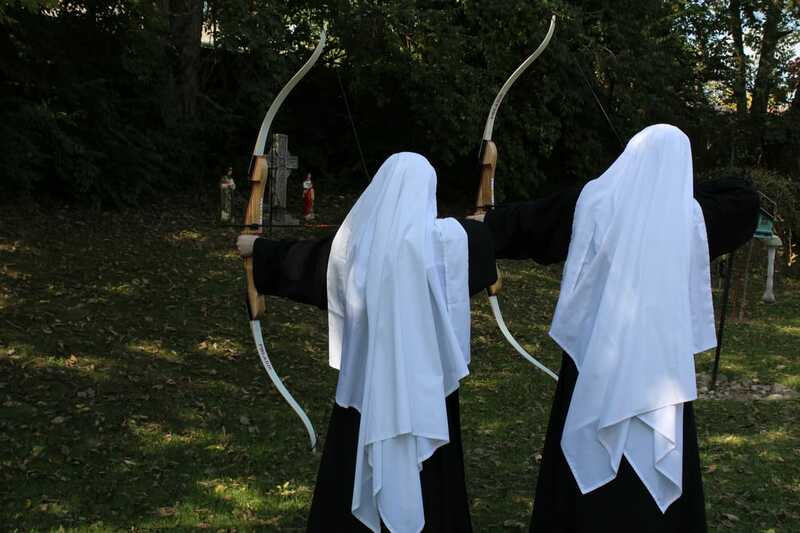 ​"For theirs is the Kingdom of Heaven"
The sisters enjoy an afternoon of archery and a bit of competition. The sister decorate and pack Christmas gift bags for the children in the Missions of Mexico. Our Lord is enthroned before the tabernacle for Christmas Day. The Son of God was born of the Most Pure Virgin, Mary..."
​ October, Feast of The Most Holy Rosary. ​A short ceremony takes place as each sister receives her medal of Saint Benedict. 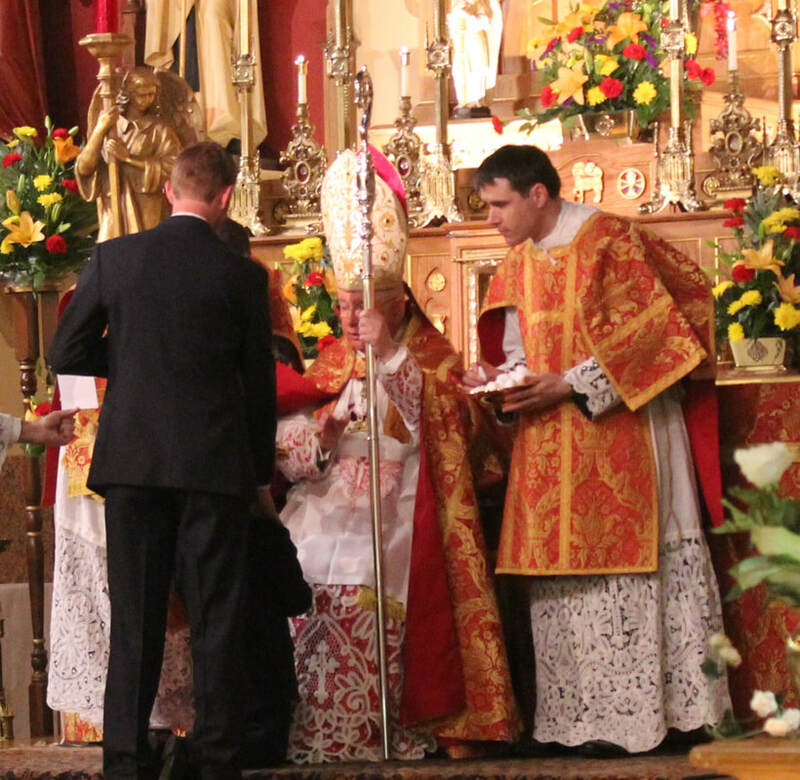 ​The Bishop blesses the newly professed sisters. 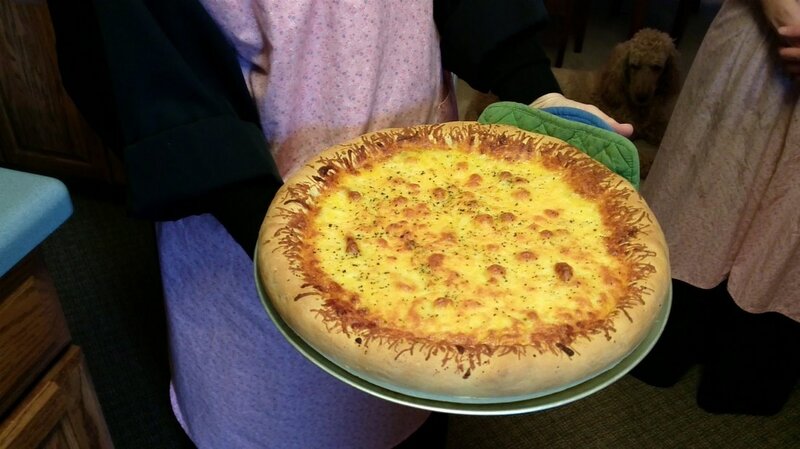 ​ as the sisters prepare pizza for the Parish Priests.